We’ve met some incredibly inspiring people since the launch of the South Padre Island Marathon Facebook page. Pancho is one of those. To date he’s lost over 100 pounds and his work ethic is as cool as lemonade on a hot day. He’s come a long way and we wanted to share his story from his words. It’s truly amazing how he’s changed his life. All my life I’ve always been overweight. Growing up and all through high school I was very active in sports, especially basketball. It wasn’t until college that my weight started to get out of control. I’ve been able to lose weight in the past but would always gain it all back and then some. In January of this year, I started logging my food on Myfitnesspal. It’s a great weight loss tool, you just input your statistics and how much weight you want to lose and it gives you a calorie goal to try and stay under every day. While I’ve been using Myfitnesspal off and on for several years, this time has been different, as I have been striving for progress and not perfection. In the past I’d let a bad day or a bad week derail me, this time I’ve learned to just take things one day at a time. One good meal isn’t going make you skinny just like one bad meal isn’t going to make you fat. In the first two months, after just switching up my diet, I lost almost 50 pounds. In March, a good friend of mine convinced me to start the “Couch to 5K” program with him. It’s a nine-week program that gets you ready to run a 5K by the time you’re finished. I really enjoyed the program and once I completed it I decided to move on to the “5K to 10K” program. At that time I thought to myself, if I can run a 10K in 9 weeks why shouldn’t I be able to run a half marathon in a few months? I’ve participated in two half marathons previously and ended up walking both. The most recent one was the Rock N’ Roll Marathon in San Antonio in November of 2013. A group of friends and family joined the Leukemia and Lymphoma Society’s “Team in Training” in order to raise $100,000 to try and get my niece Dezma’s name attached to a research grant. We had lost Dezma to Acute Myeloid Leukemia in March of that year. She was 11-years-old. While we were able to hit our $100,000 goal; I wasn’t able to train for the race like I should have. I was able to cross the finish line but felt ashamed of my time and deep down knew that I could do much better. I’ve wondered what my time would have been if I had trained properly and pushed myself harder. I came across the SPI Marathon page one day on Facebook and thought that this would be the perfect opportunity. I was in better shape than the last time and had plenty of time to train so that I could finish with a time that both Dezma and I would be proud of. I signed up in July and have been training ever since. 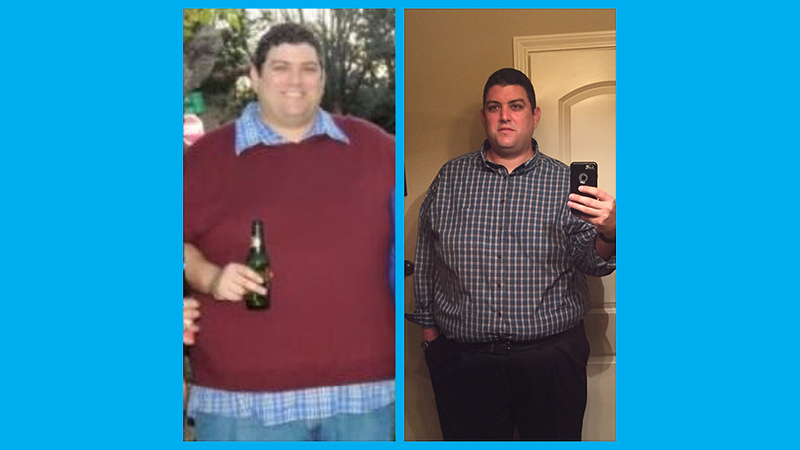 To date, I have lost just over 100 lbs in a little over seven months. I still have a long way to go, but I’m taking it day by day and am confident that I’ll get to where I need to be. Striving for progress NOT perfection. It’s a simple but powerful phrase he’s lived by and it’s working. Do you have a motto that’s working for you? Has Pancho inspired you to take it day by day? Tell us. Share your story and help encourage others.